Riding Mountain National Park began taking camping reservations at 7 a.m. this morning. New this year are oTENTik tents in Wasagaming Campground, which Parks Canada is offering guests as a comfortable, hassle-free way to experience camping outside of the traditional RV and tent. 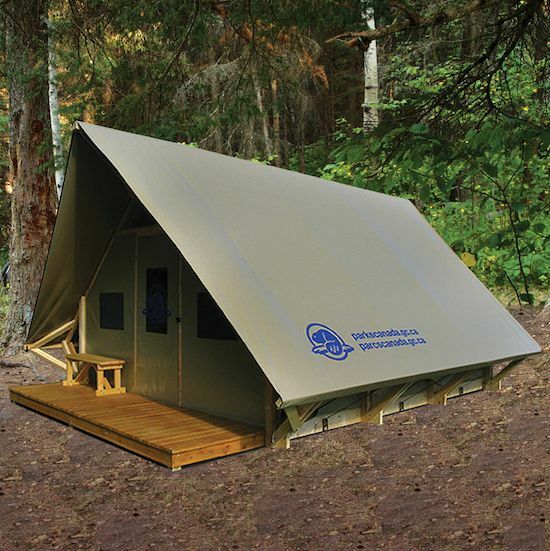 The oTENTik tents resemble a traditional prospector tent, but offer a more spacious and comfortable experience. The tent has a wooden frame with canvas covering a wood laminate floor, equipped with beds, lantern, table and seating that sleeps up to six.